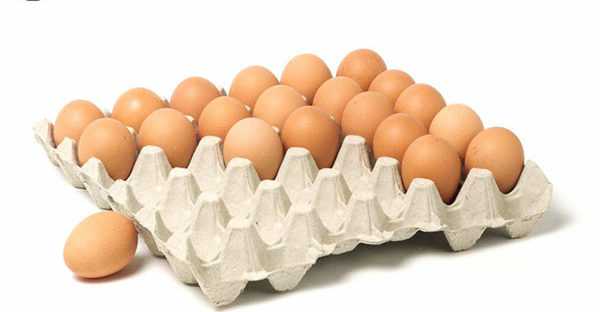 The automation level is a very important factor for purchasing an egg tray machine. It directly matters the paper egg tray machine price and working efficiency. In general, the higher the automation level, the higher costs of a pulp molding production line. However, the working efficiency of a fully automatic machine will be much higher than that of a semi-automatic one. Each customer has different requirements. 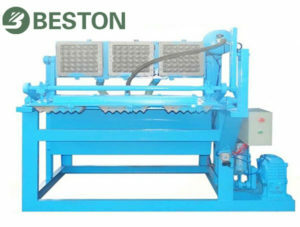 Beston Machinery is model among numerous professional paper egg tray machine manufacturers in China and even the world. We supply both semi and fully automated types at a reasonable price. Welcome to contact us! How to Distinguish the Automation Level of An Egg Tray Machine? There are four main sections of a complete pulp molding production line. They are pulping system, molding system, drying system and packing system. Among them, molding system mainly means pulp molding machine. 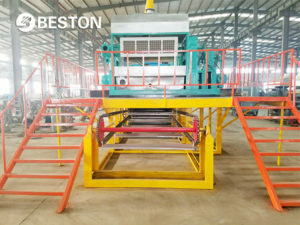 While the paper pulp forming machines from Beston Machinery is fully automatic. However, the automation level here we talk about refers to drying system. We have four drying modes to choose. They are natural drying, brick drying line with carts or conveyor belt and metal drying line with a conveyor belt. The former two are semi-automated, while the latter ones are fully automated. 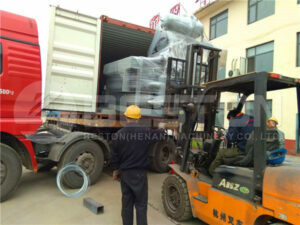 Moreover, we can also supply customers an automated packing system, including hot press machine, packer, counter, etc. All these machines can be provided individually or completely. Of course, it is of great significance to concern about the egg tray machine price. But it is not the only thing you should consider. Besides, the costs of an egg tray production line also contain maintenance fee, labor input, energy consumption and so on. A fully automated production line has many advantages, like low labor strength, high output. However, it is more suitable for large-scale investors. 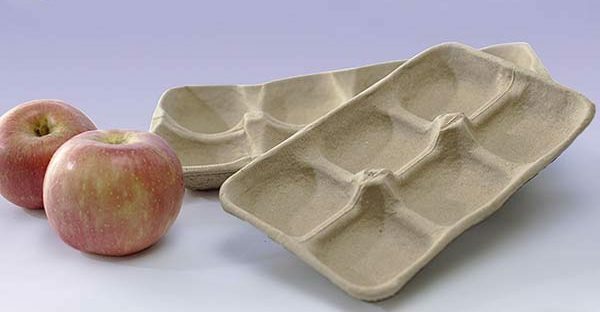 If you want to be a professional supplier of paper trays and you have enough money, a fully automatic machine will be very helpful. However, you’d better buy a semi-automatic egg tray machine, if you just want to produce 1000 pieces of egg trays for your own chicken farm. Beston suggests investing what fits you most. If you not sure, just tell us your requirements. We will propose the most suitable investment plan for you.